He dangles a lure before the nation's governors. 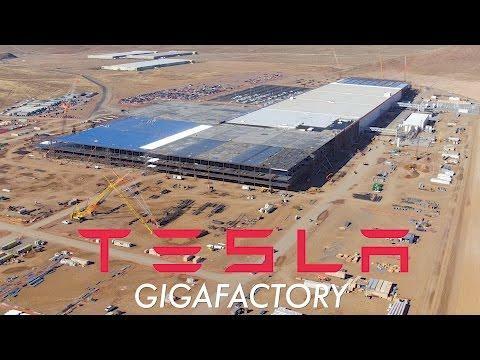 It's no secret that Tesla wants to open Gigafactories around the world to keep up with demand for electric cars and storage batteries, but how many of those will open in the US? Now we know: Elon Musk has confirmed that "two or three" additional factories will open in the US over the "next few years." He's not offering a firm timetable, to no one's surprise (the first factory isn't even finished yet), but the news makes it clearer than ever that Tesla expects plenty of demand. Musk was definitely strategic with the announcement. He was speaking in front of the National Governors Association, which is full of politicians looking for economic opportunities - he's no doubt hoping that governors will jockey for a Gigafactory (and offer incentives) in their state. At the same time, though, it may be a realistic forecast. Musk expects most new cars in the US to be EVs within 10 years, and to virtually dominate the market in 20. If Tesla doesn't have enough factories in place, it risks losing business as electric transportation hits the mainstream.